In case you missed it, the Oscars award ceremony this year will be held without an official host for the first time in three decades. Kevin Hart was billed to fill the shoes of Hollywood’s ‘least desirable job’ – the hosting gig known as such for a number of controversies associated with previous years’ ceremonies. However, the comedian pulled out of hosting the ceremony in December following the reemergence of his old homophobic tweets. Hart said he was not going to host because he didn’t want to be a distraction, adding he was ‘sorry he had hurt people’. So, as the Oscars are left going ahead with no one at the helm, Hart’s colleague and best on-screen mate, Dwayne Johnson, has claimed he was actually in line to host before Kevin got a look in. 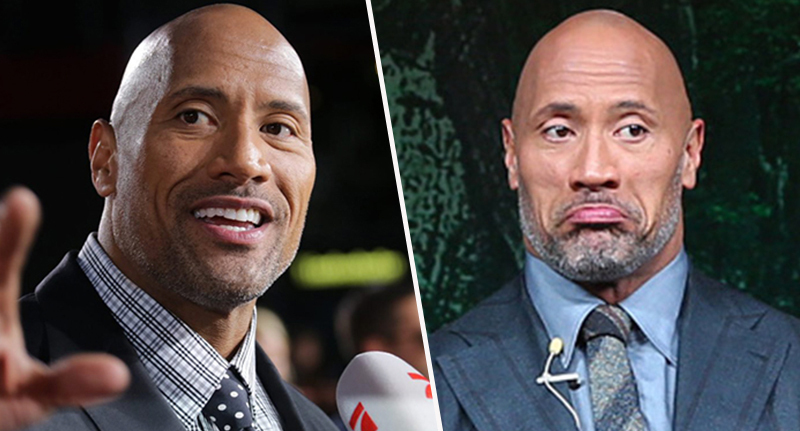 Replying to a tweets suggesting The Rock should host next year in 2020, The People’s Champ said he ‘was their first choice’. Columnist Dan Buffa called on the Oscars to enlist the People’s Champ to take on the job in a tweet. If the Academy is so inclined to line up a great host for next year’s Oscars, just pick @TheRock. Nuff said. Well, apparently what was said wasn’t quite ‘e-nuff’, and Johnson weighed in. Ah mahalo dude, I was their first choice to host this year, and my goal was to make it the most fun and entertaining Oscars ever. We all tried hard, but couldn’t make it work since I’m shooting Jumanji. Academy and I were super bummed but maybe one day down the road. The claim would mark a bit of a blow to his pal, Kevin Hart, as it’s never nice to be sloppy seconds to anyone, especially a longtime colleague. But Johnson never shies away from savaging Hart publicly, all in the name of ‘top banter’ between Hollywood ‘bros’. Hart has co-starred, often in loveable sidekick character roles, alongside Johnson in films such as Central Intelligence and the Jumanji franchise. Whether the Baywatch actor and former wrestler’s claim that he was the first option to host the Academy Awards is true or not, or just a bit of friendly teasing, remains unconfirmed. But it Johnson would be a popular choice, with 2,800 people ‘liking’ his tweet, at the time of writing.